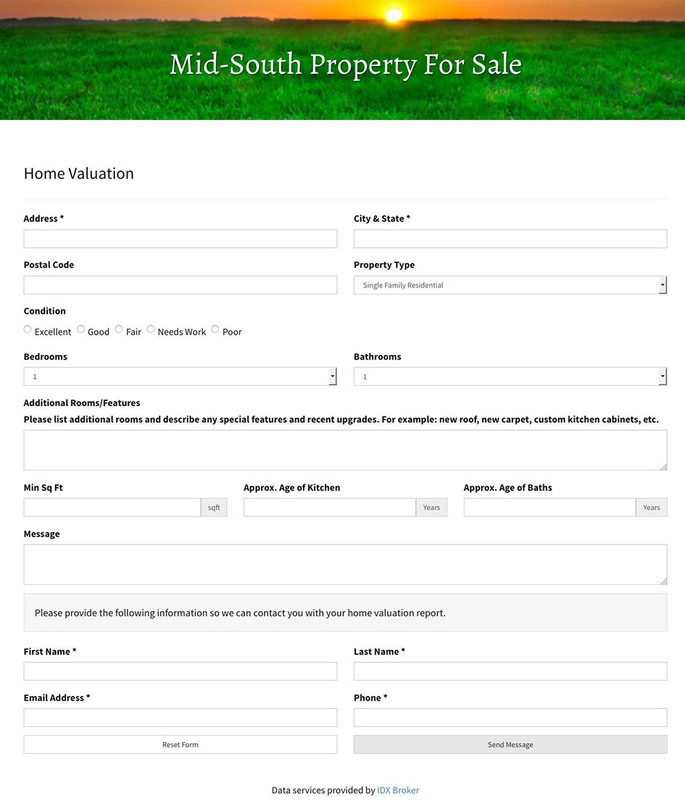 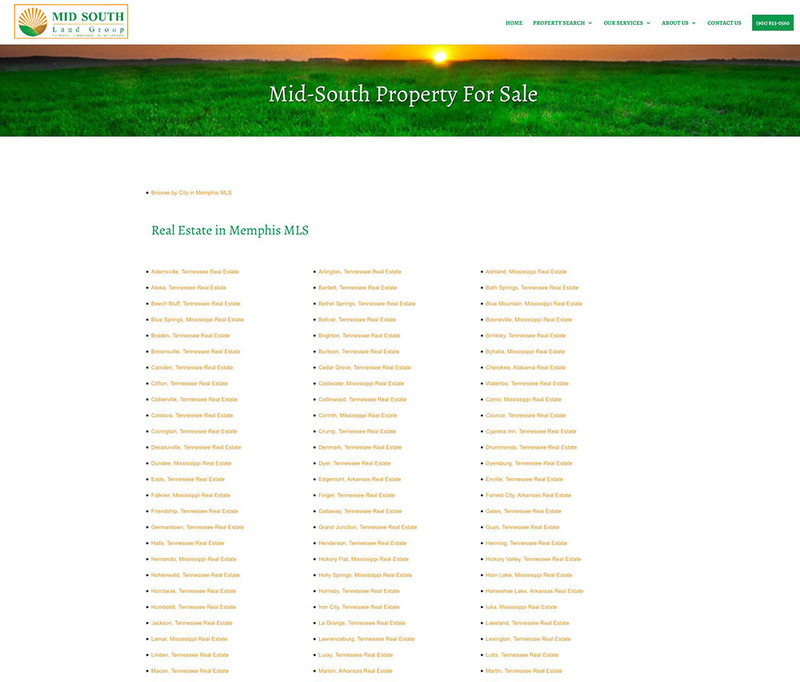 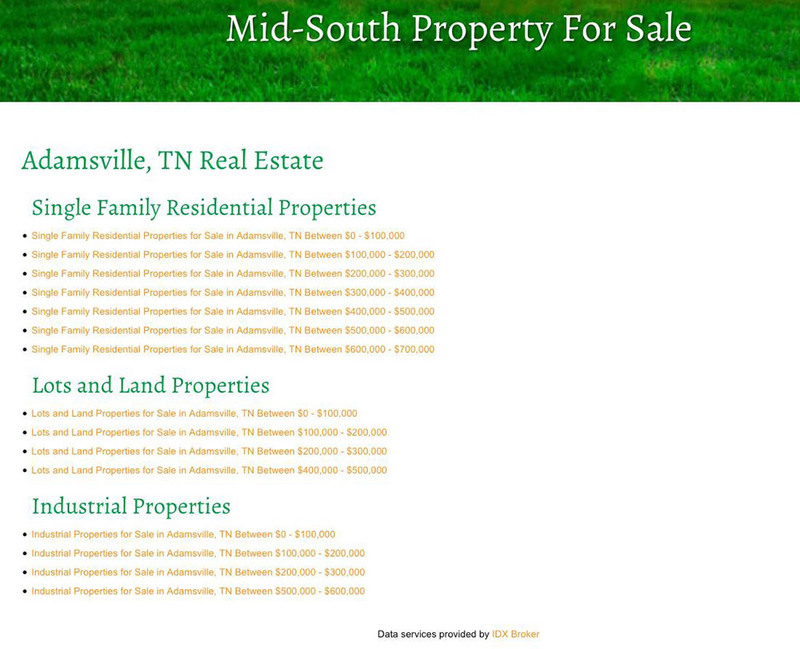 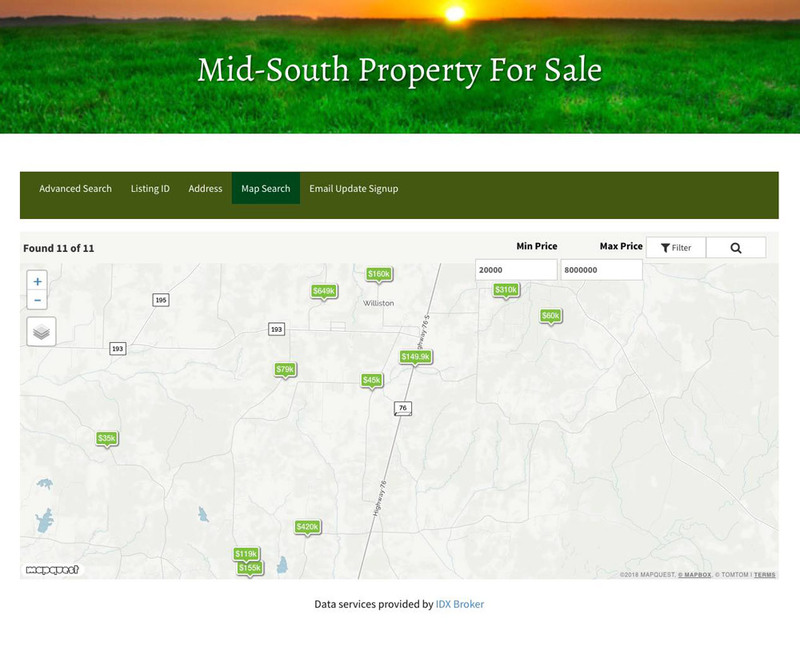 Mid South Land Group is a real estate company that focuses on land sales. 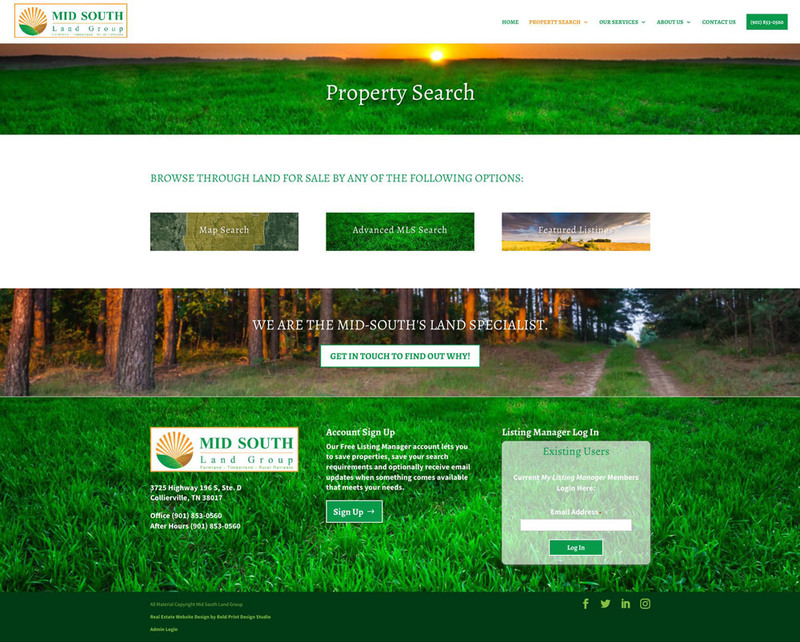 Spectacular land images make the home page pop, draw the visitor in, communicate at a glance what they do. 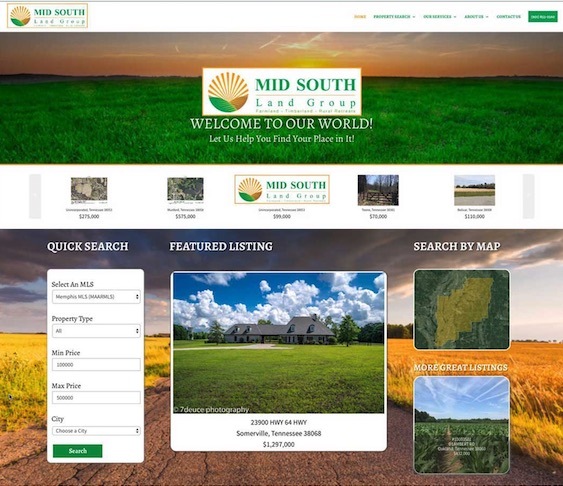 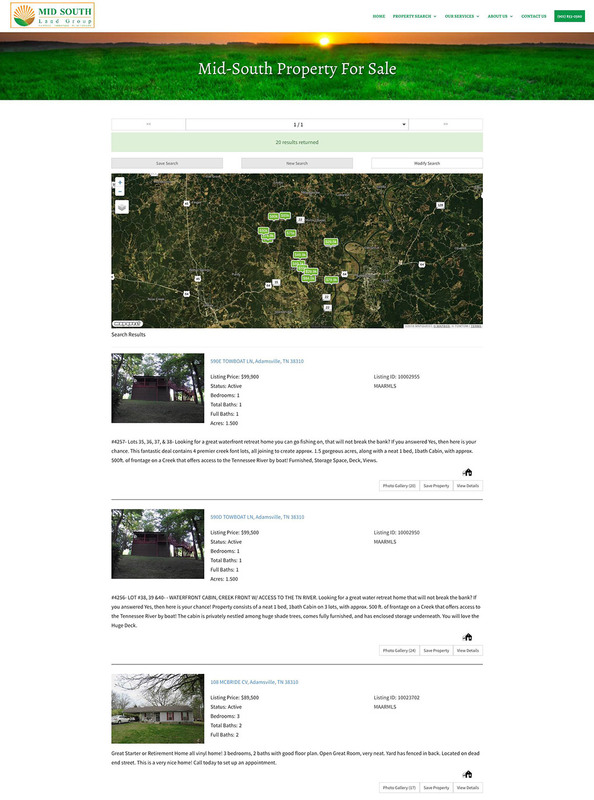 To bring real estate functionality to the website we installed MLS/IDX services including a quick search box on the home page, interactive search map and featured listings that display only their office listings. 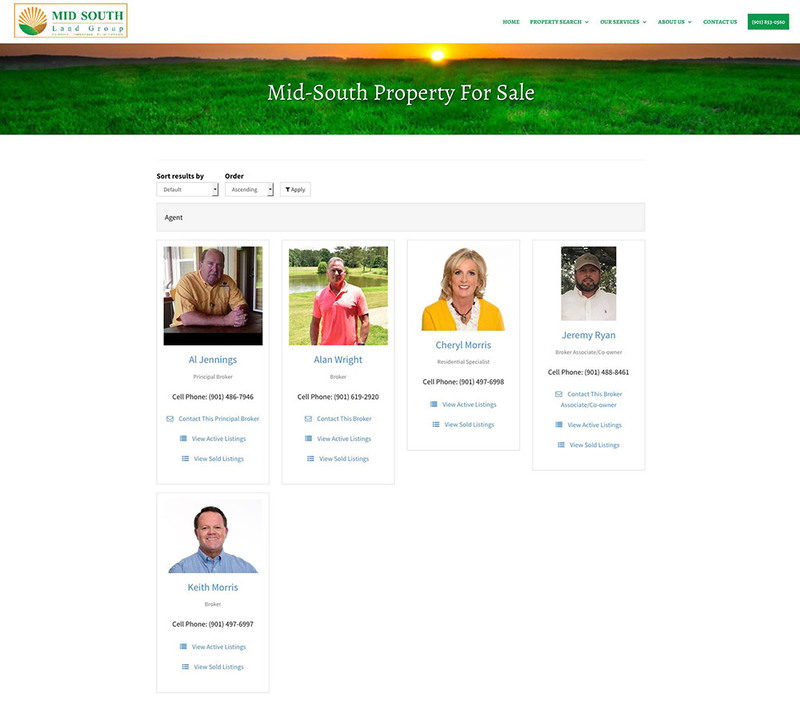 Each agent in this office has their own bio page which displays their image, contact info, bio and their current listings. 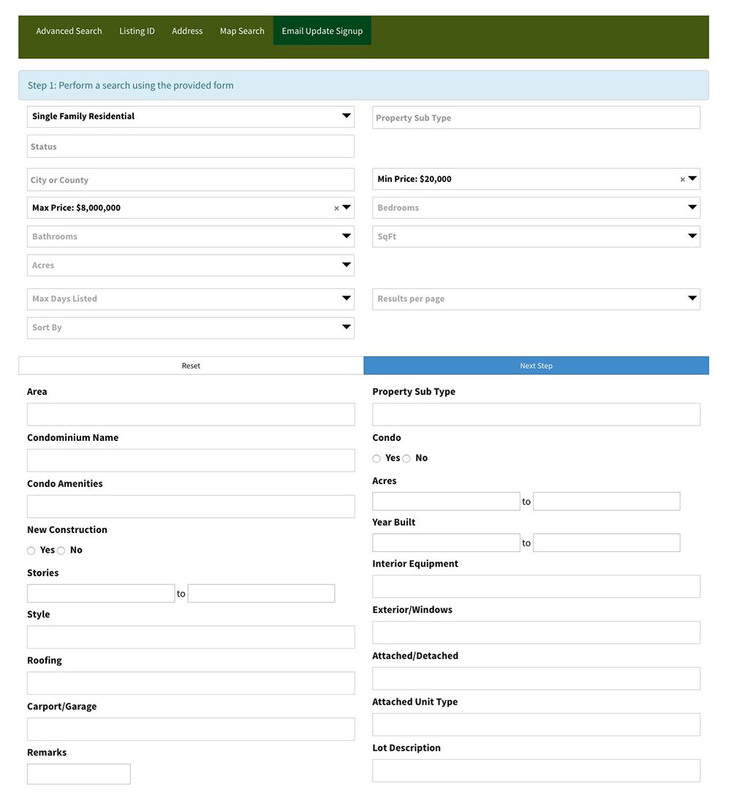 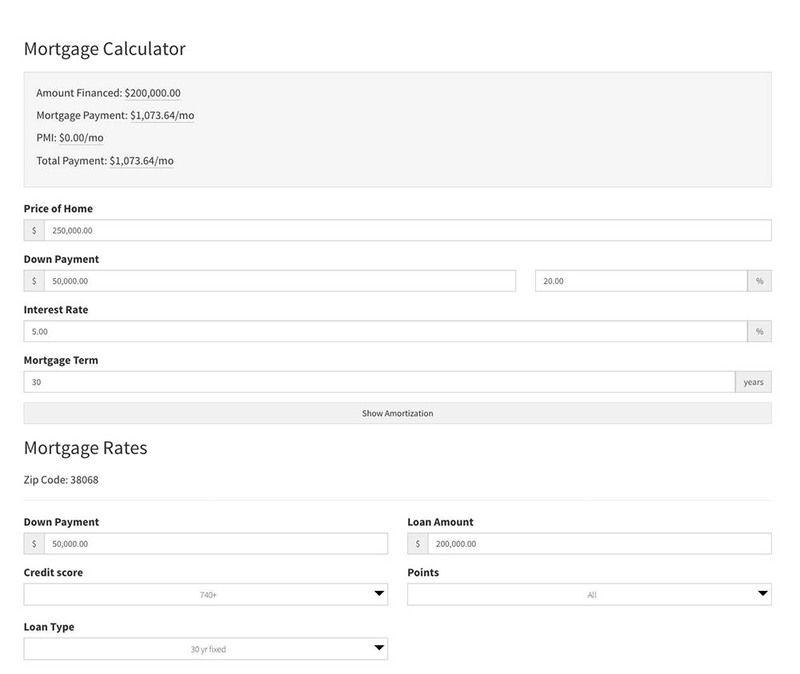 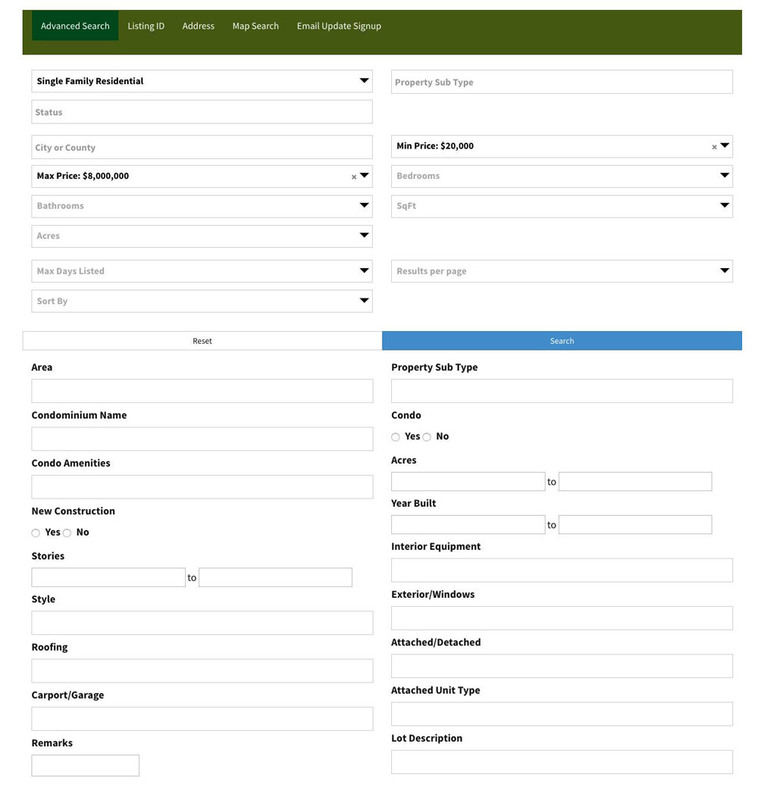 Agents can also login to the admin panel and manage their own leads and listings. 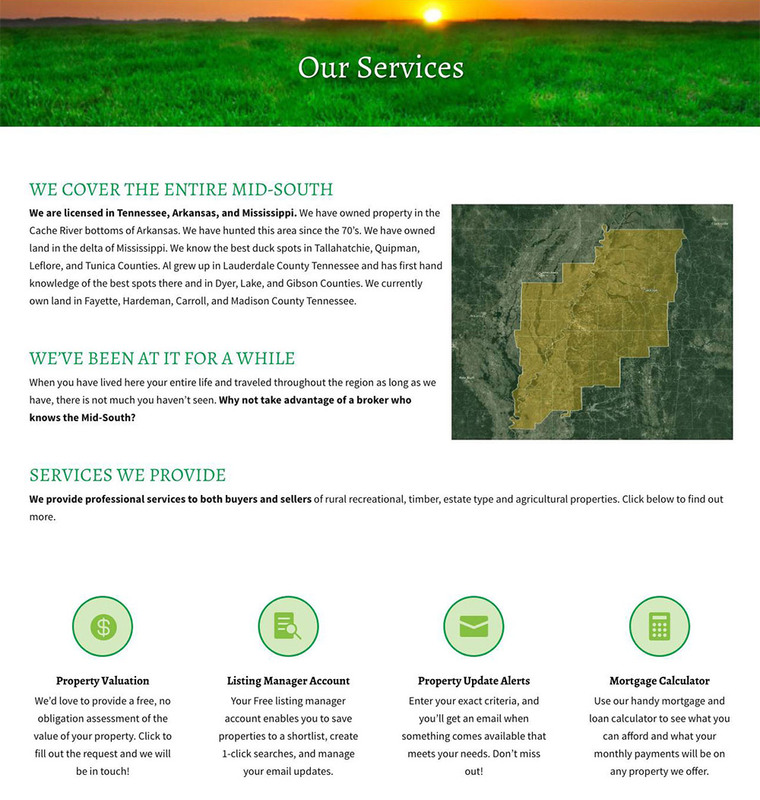 This was a new real estate company. 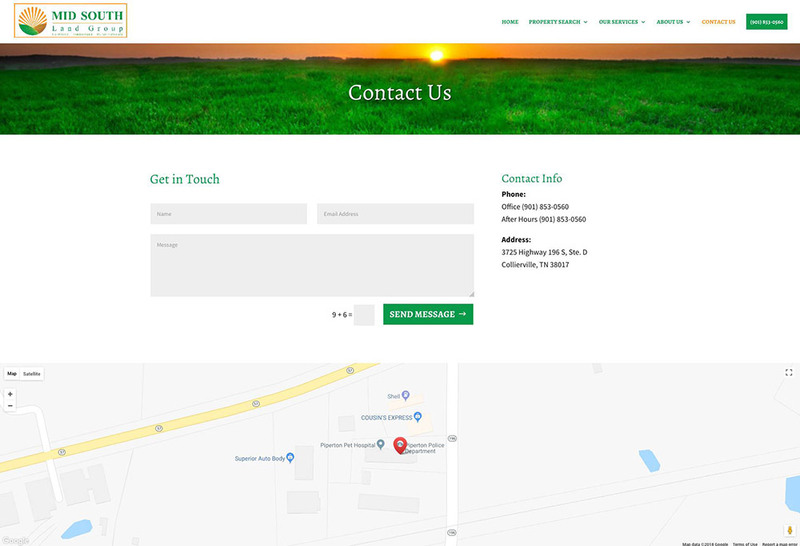 They already had the logo, so working from that we helped them develop a consistent brand with their website, business stationery and business collateral. 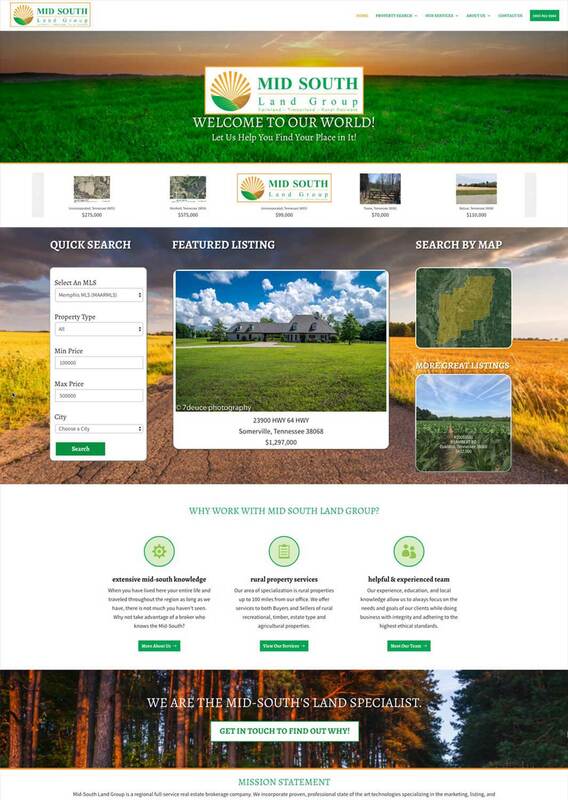 The website was built in WordPress using a modern, mobile responsive theme. 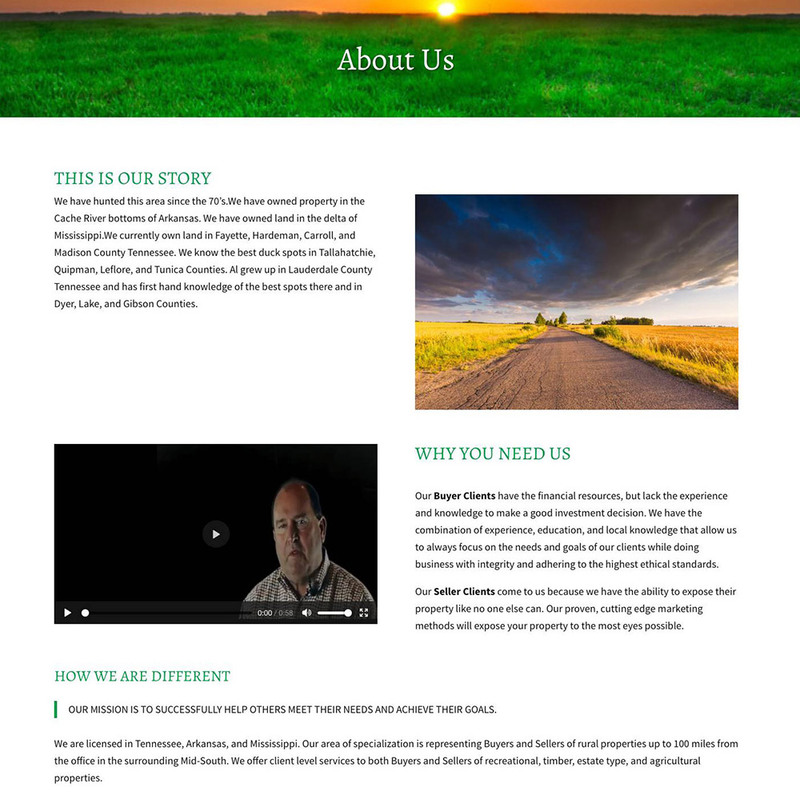 It will be a solid functioning website for them for years to come.